Browse Misato Mitsumi Gallery: Recent | Popular. Well the concept is good. But the colors are a bit dull. The grass in front of the girl is pixelated and in overall I'm sick tired of all this Photoshop grass (as you said it looks almost like the brush in PS). And one last thing. What is that white border over her head? 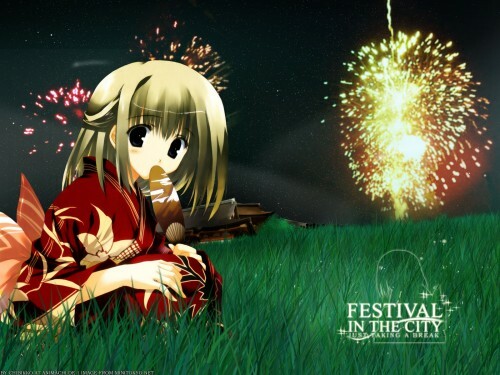 a summer evening, fireworks, a pretty girl (girlfriend ?..).... could it be happiness ?.. Ohhhh Good Job i like it !! simply beau...i really lov it! Very nice! I like the grass and the fireworks. Well done. it's a great wall!! so beautiful! its so cute and the bg is great!